What is an Oxford Dress Shoe? And why not all dress shoes are oxfords. 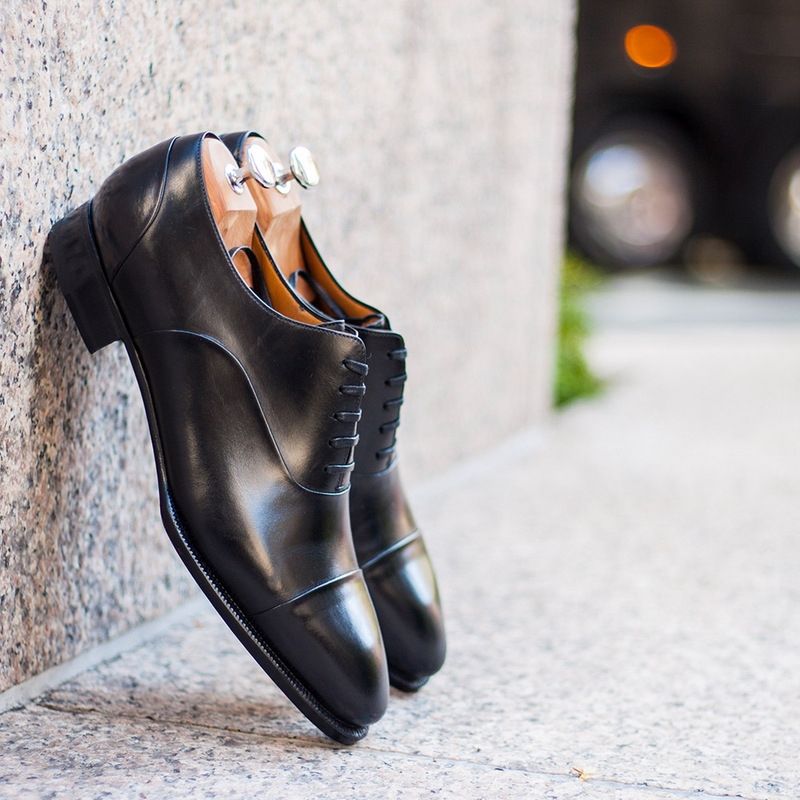 What is an oxford dress shoe exactly? 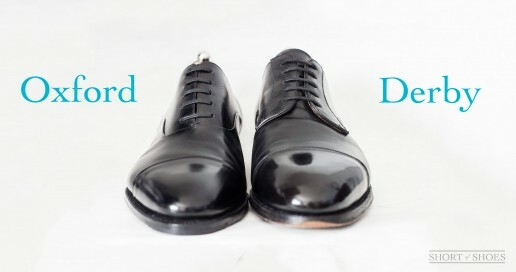 What is an oxford dress shoe? 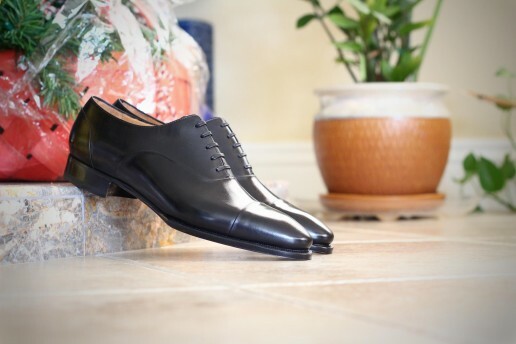 Simply put, an oxford shoe is distinguished by the facings of the quarter being sewn underneath the vamp. It’s referred to as having a closed lacing system. Let’s go back to the basics of shoe anatomy to define the facings, vamp and quarters so you know exactly what I’m talking about. 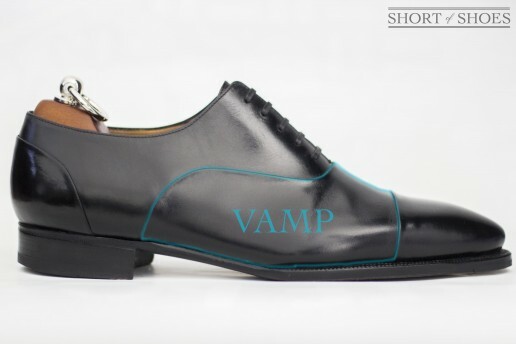 The vamp is the front part of the shoe upper and it covers the area where your shoes crease the most when you walk. It meets the quarters near the middle of the shoe. Generally speaking, the shoe upper is made of only two parts; the vamp and quarters. For illustration purposes, I'm breaking those two parts down even further. The quarters contain the lace eyelets of the shoe and extend toward the back of the shoe which may or may not be met by a heel counter piece. The quarters come in all different shapes and sizes depending on the pattern and design of the shoe. The facings are a specific part of the quarters containing only lace eyelets of the shoe. It doesn't include the rest of the quarters that extend towards the heel. It could be the same piece of leather as the quarters or a separate piece. It's typically defined by a stitching line running adjacent to the eyelets, but some designs omit this for a more minimal look. If the quarters are sewn on top of the vamp, it's no longer an oxford, but a derby or blucher style shoe instead. The derby is also popular, if not more popular than the oxford today. If the shoe has no laces, it's categorized differently like a loafer, monk strap, chelsea or other categories. Boots are also considered either oxford or derby in style, by identifying the same construction as mentioned above. While this may sound simple enough, it’s a little difficult to discern at first. 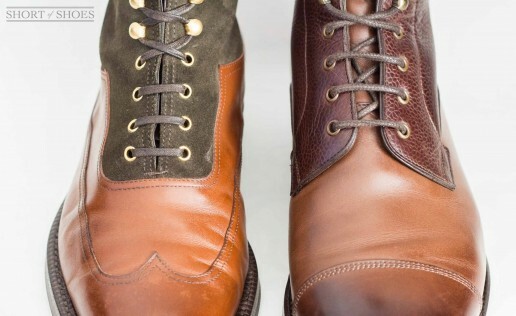 So I’ve included photos of two shoes, nearly identical in style aside from one being an oxford and the other a derby. Keep in mind the oxford, in this case, has hidden stitch seams. Oxford dress shoe example also known as a balmoral. 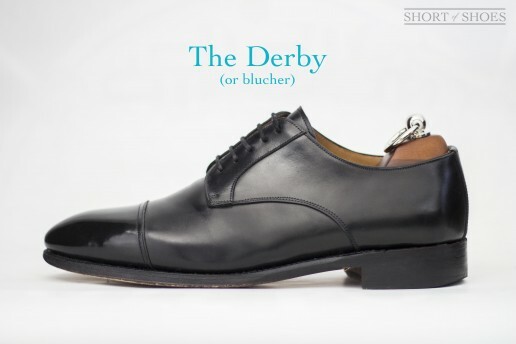 A derby or blucher shoe in contrast to the oxford. So are you able to tell what an oxford shoe is now? If not, here's another comparison photo, this time both shoes are showing their stitch seams which make it easier to spot. 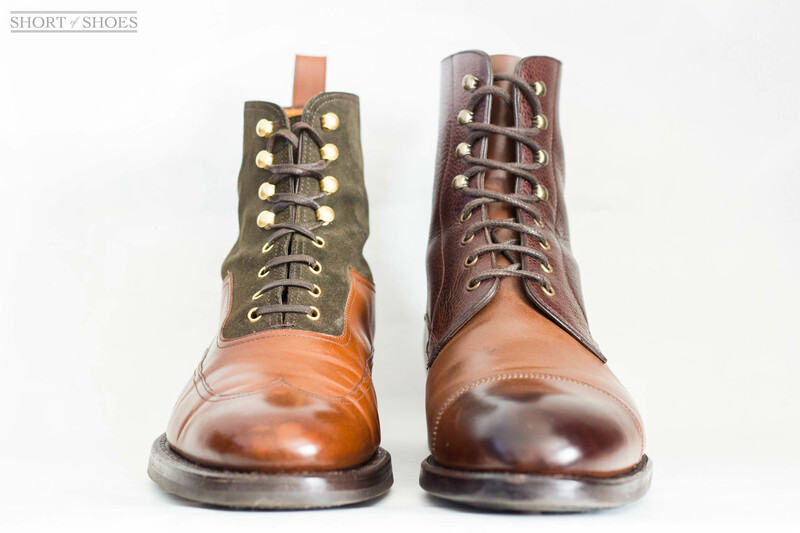 For the sake of good measure, some oxford boots vs derby boots. 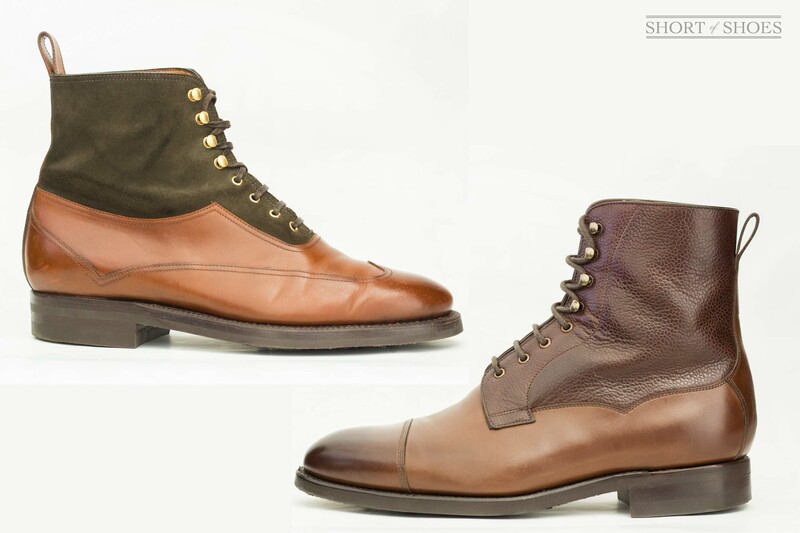 With these two-toned boots, you can easily tell which one is the oxford. What's interesting to see here is that the vamps are differently shaped from the shoe examples above and only the facings of the derby boot lay on top of the vamp. The rest of the quarters are tucked behind the vamp on the derby boot this time. 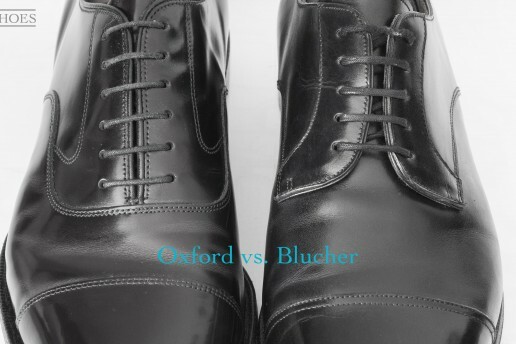 Balmoral boot vs blucher boot. 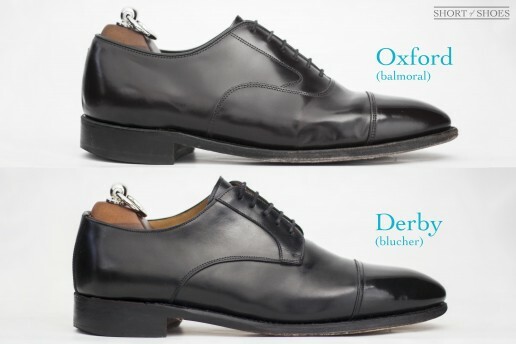 Now that you know what is an oxford shoe, there a few other things you should know about oxfords. 1. 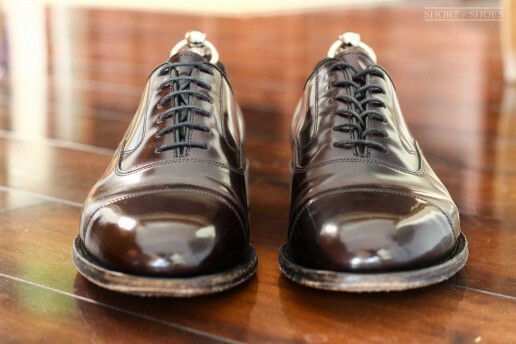 Oxfords are almost always more formal than any other type of lacing closure on shoes. Why did I say almost? 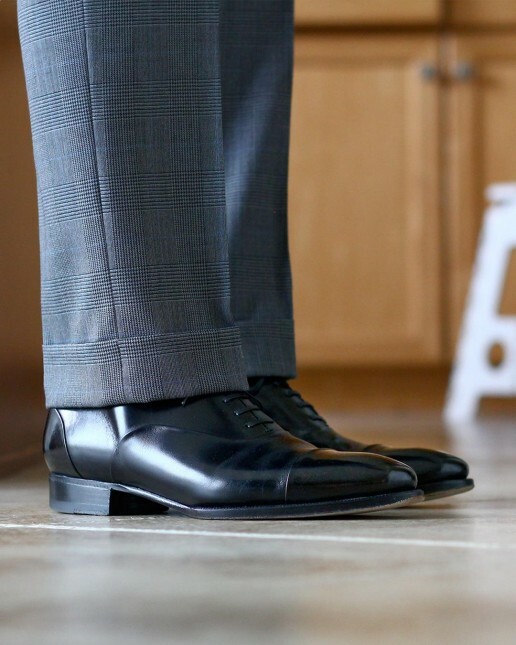 The opera pump (technically a loafer), meant to be worn with a full black or white tie tuxedo rig, is the only shoe more formal in modern times. 2. Lacing: the laces on oxford shoes should ALWAYS be laced straight. It’s nearly a sin to lace them up crisscrossed like sneakers. 3. 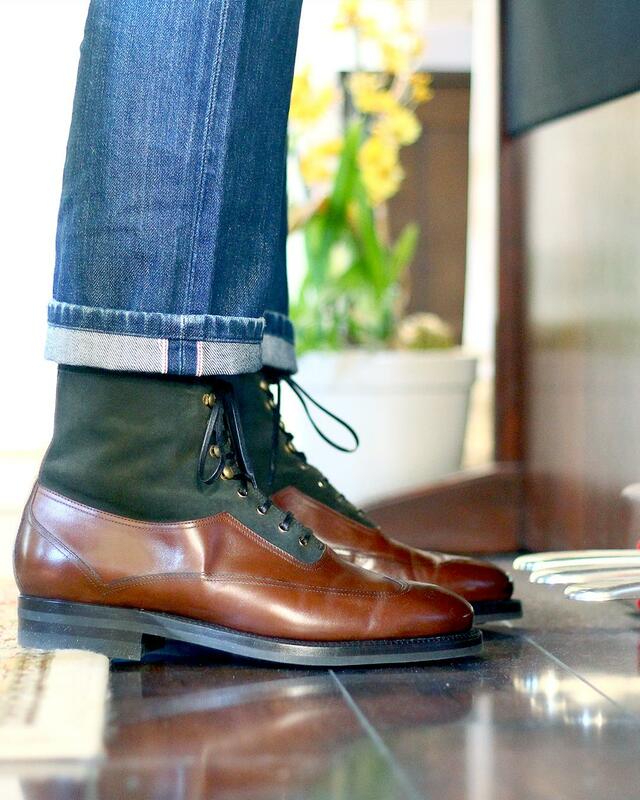 A proper fitting oxford, with its closed lacing system, should close all the way. That means the facings meet and touch each other. There should not be a “V” gap that forms a between the facings. When buying a new leather oxford, this is something you should look for regarding fit. There should be a small V formed when tightened all the way on new leather shoes. Once the shoes have broken in and the leather has stretched, the gap should close if the fit is proper. Finding shoes that fit well is easier said than done. 4. The term oxford and balmoral are nearly interchangeable, especially in the US. More on the balmoral in the brief history lesson below. Shoe on left laced correctly, but the facings aren't touching. Shoe on the left laced correctly. Enzo Bonafé cap-toe oxford dress shoe. 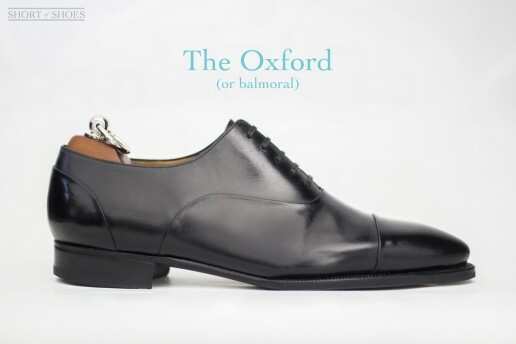 So there are two conflicting stances on the origin of the oxford. One is that they originated from Oxford University students who popularized the shoe which was loosely based around a tall boot (popular at the time), but cut much lower for comfort purposes. It was originally referred to as the Oxonian Shoe in the early 1800’s. The second claim to the origin of the oxford is that it emerged from Scotland and Ireland. Oxfords are also commonly referred to as balmorals (“bals” for short online) paying homage to the Balmoral Castle, a British Royal Family owned residence located in Royal Deeside, Aberdeenshire, Scotland. Now you have a good understanding of what oxford shoes are and why not all dress shoes are oxfords. Oxfords can be combined with many other common styles like cap toes or wing tips. 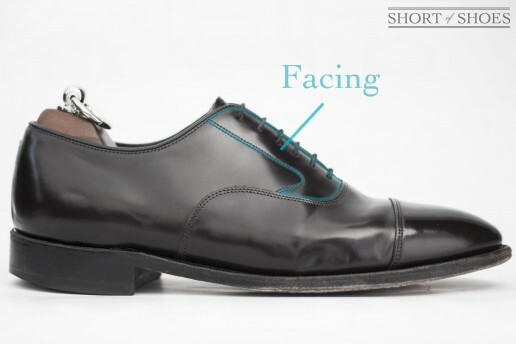 So you may listen or read to someone calling a shoe a cap toe oxford, which combines the closed lacing system with a cap stitched over the toe area. The combinations are endless, just remember an oxford is really all about the lacing system used. Many will carelessly throw around the use of “oxford” and refer to any dress shoe, which couldn't be farther from the truth. But now you're in the know, so good for you!